Midwest Lake Management, Inc was founded in 2003 after realizing there was a demand for our unique services. It was simple—our clients like water and we do, too. There simply wasn’t a company around that had the skill-set to handle such a broad range of aquatic management services. So our company was born, and we began helping people manage their water and fisheries. Just a short year later, we began operating our second division of the business which specializes in the design and fabrication of fisheries equipment used by professional biologists. Each year since our business’s inception we have experienced excellent growth and have continued to expand our services and products. We are a diverse group of folks that love what we do. We all have a passion for the water, fisheries management, engineering, and taking on challenges. We take great pride in fulfilling the needs of our customers, who are just as diverse as us. 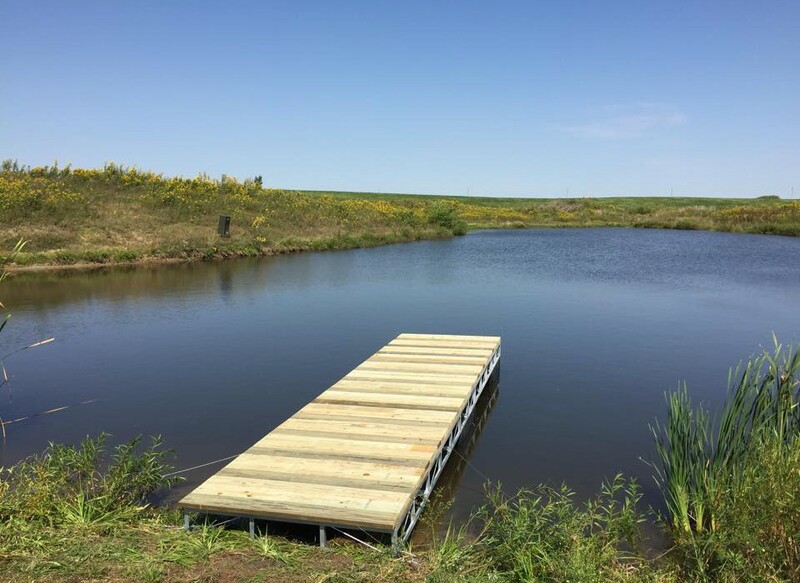 Further, we have a significant inventory of specialized equipment that allows us to be a one stop shop for our customers, whether within our Pond and Lake Management Division or our Fisheries Equipment Division. In short, we have the right tools to get the job done correctly and efficiently. Please continue to read and learn more about us. We’ll appreciate hearing from you and look forward to earning your business. Shawn Banks, M.S., is the President & Owner of the company. Shawn possesses degrees in biology and chemistry and an advanced degree in fisheries science. Shawn has been professionally involved in the fisheries management/research & aquatic ecology field since 1995. 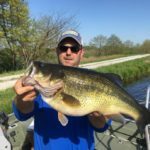 Prior to starting Midwest Lake Management, Inc, Shawn served as a fisheries management biologist for the Missouri Department of Conservation where his duties involved stream crayfish research, pond management, and managing public reservoirs and interior rivers. 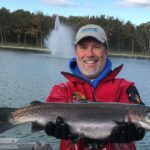 Shawn has published many popular articles and several scientific papers in peer reviewed journals on topics ranging from fish genetics to fish habitat associations to parasite surveys of fish and white-tailed deer. Shawn has either directly worked with or given advice to nearly 2,000 pond owners, and he still is actively involved with managing fisheries when not designing electrofishing equipment and handling day to day operations. Tom Lehman, M.S., possesses bachelor degrees in physics and math and masters in physics. Tom is responsible for design and fabrication of our specialized electrofishing control boxes, which we sell to professional biologists across North and South America. Tom has worked primarily in private industry since 1977 for such companies as Invivo Research Labs, Seismograph Service Corporation, Anaconda Ericsson, Adaptive Instruments and Bell Laboratories. Tom holds 5 patents for original engineering projects. 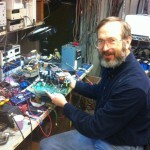 His list of engineering projects is extensive and diverse but mostly involves advanced electronics and sensing circuitry. Paul Horner, B.S., is our Staff Fisheries Biologist and oversees our electrofishing equipment division. Paul possesses a BS in Natural Resources Management. 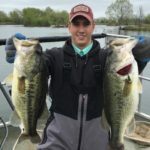 Paul has been professionally involved in fisheries management and research since 1995, which has included work with the Tennessee Wildlife Resources Agency, USGS Tennessee Cooperative Research Unit, and the Missouri Department of Conservation. Paul has a great deal of experience with aquatic systems throughout the Southeast and Midwest. Jeanne Huntley, B.S., joined our staff in March of 2012. She possesses a Bachelors degree in Textiles and Clothing in Business. 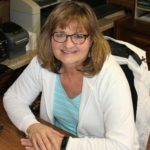 Jeanne has 30 years combined experience in retail sales, retail store management, small business ownership and business administration. Jeanne’s position as Office Administrator requires a variety of responsibilities, including customer service, accounts payable, accounts receivable and payroll. She oversees all website and web store activity as well as marketing and general logistics. Jeff Slipke, Ph.D., our Senior Fisheries/Aquatic Biologist, directs our pond and lake management division. Jeff has been working as a fisheries biologist/scientist since 1990 and has been involved in private pond and lake work since 2004. 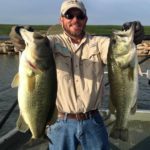 Prior to entering the private sector, Jeff conducted research on a wide variety of fisheries topics, mainly on large reservoirs in the southeastern United States. His diverse and extensive background in research and management has given Jeff a unique perspective into how fish population respond to manipulations. As such, Jeff has developed and managed hundreds of outstanding fisheries. Jeff has published a dozen peer- reviewed, scientific papers and numerous popular articles. In addition, Jeff developed a software program to simulate and model fish population dynamics. The program, called FAMS (Fishery Analysis and Modeling Simulator), has been used by researchers and university students throughout the country and internationally. Jeff has traveled the U.S. sampling fisheries, presenting research results and conducting continuing education workshops to fisheries biologists. Tyler Ruoff, B.S., is an Aquatic Biologist with a bachelor’s degree in Wildlife Ecology and Conservation. Tyler has previously worked for the U.S. Fish and Wildlife Service and the Missouri Department of Conservation. Tyler has performed a wide array of duties including population monitoring of endangered species, work on public and private ponds and lakes, large river population sampling, wetland surveys, and mechanical repair and maintenance. Seth Stonum, B.S., is the Operations Manager for all aspects of our fabrication shop and warehouse, and he also assists with our pond and lake operations when needed. Seth received his animal science degree from the University of Missouri. Seth grew up on and is still active in his family farm operation, which involves cattle production and row cropping. He possesses a great analytical and mechanical mind. His attention to detail exemplifies the quality service and products our customers have come to expect.